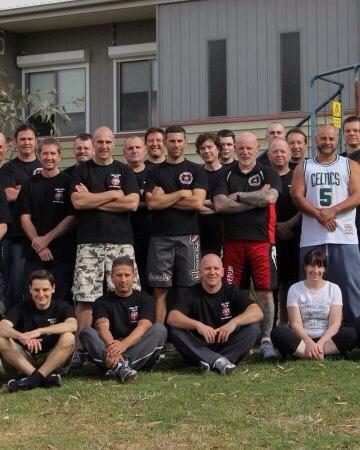 Diamond Valley Martial Arts Academy is based in Greesnborough, Melbourne Area and operated by Aaron Ireland. We teach Freestyle Combat Kung Fu, Adult Martial Arts, Woman Self Defence, Knife Defence, self defence system (personal protection) developed by prominent Australian martial artist Mick Nicholls (note that Mick does not instruct in Greensborough). Freestyle blends together Boxing, Karate, Filipino Kali and Panantuken (Filipino Martial Arts as seen in the Jason Bourne movies), Muay Thai Kickboxing, Israeli Tactical Krav Maga, Bruce Lee's Jeet Kune Do, Worden's Combative's (as trained in the US Special forces) and Jiu Jitsu/Grappling along with traditional values and modern principals. We have special intro offer (5 lessons + free T-Shirt with just $34.95) for some one who lives near Greenborough such as Bundoora, Heidelberg, Eltham, Lower Plenty, Diamond Creek, Kingsbury, Hurstbridge, Kangaroo Ground, Wattle Glen, Macleod, Montmorency and Rosanna.